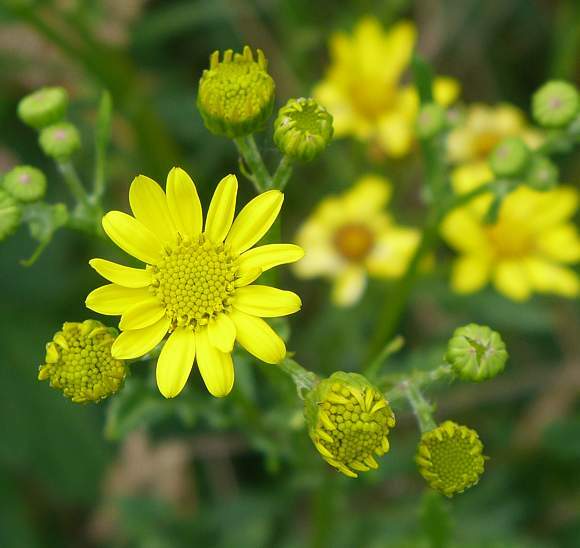 At 80cm it is shorter than Common Ragwort and with branches more widely spreading. Grows it wettish places, here on the edge of a water-supply reservoir. 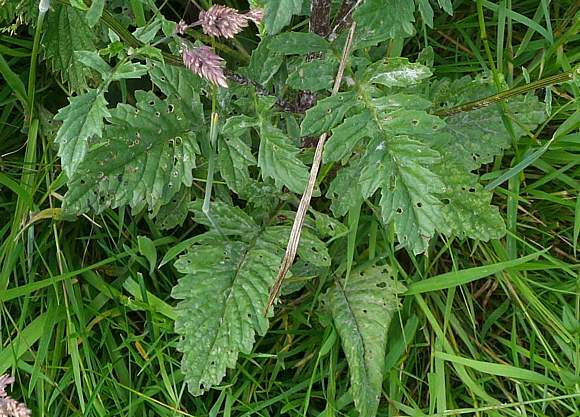 Lower leaves have one large terminating lobe. Grows in marshland and other wettish places, here with Marsh Bedstraw. With flowers more widely separated. 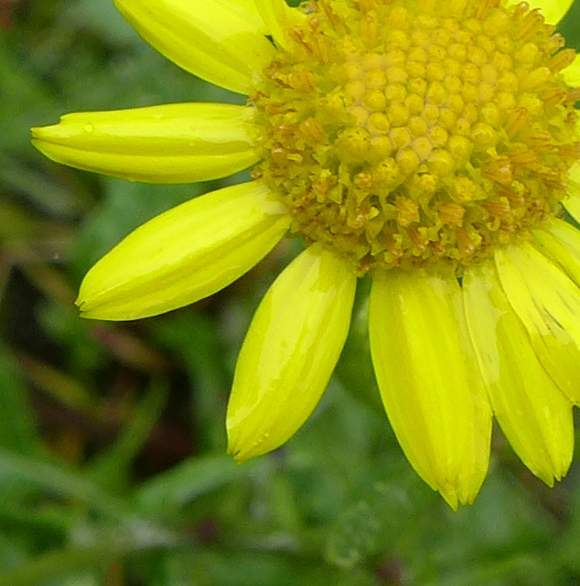 At 20 - 25m across (up to 45mm across in Scotland) the flowers are often slightly larger than those of the 15 - 25mm across of Common Ragwort . 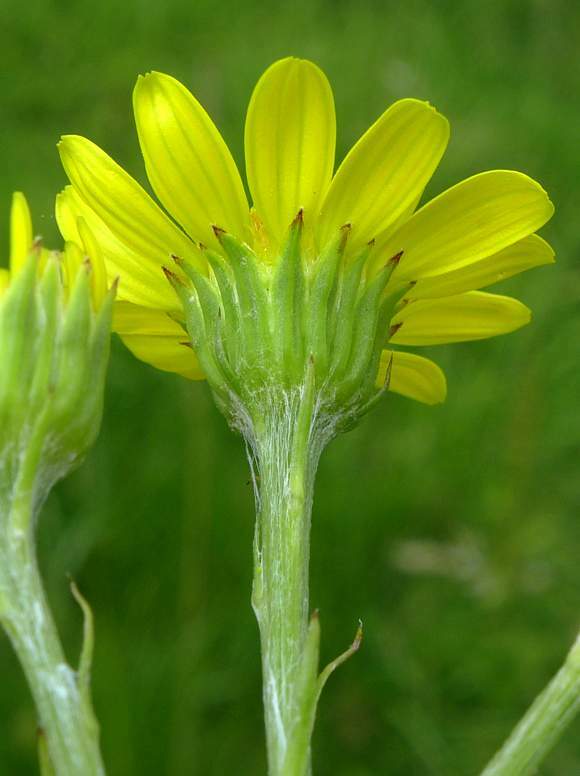 No other text mentions that the stalks often have matted white hairs appressed to them, but many other photos of Marsh Ragwort on the internet do have them but this is NOT Hoary Ragwort (Senecio erucifolis) nor the silvery Silver Ragwort (Senecio cineraria). 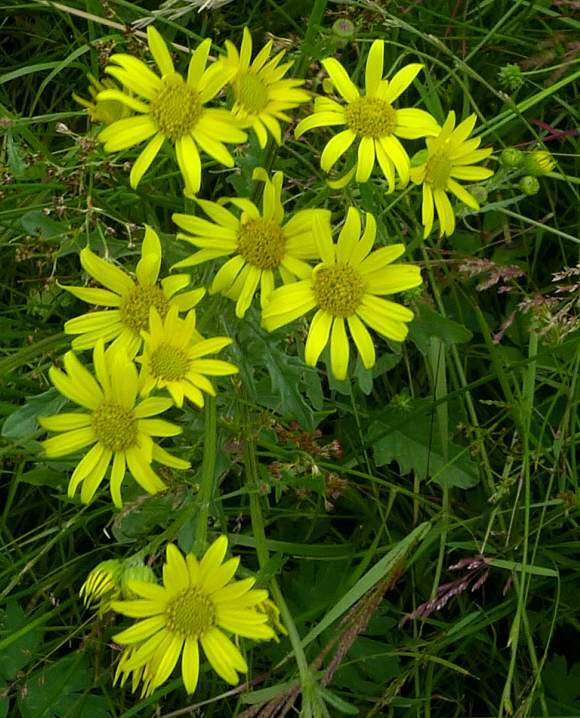 Usually with just over 12 petals or so ray-florets. Each ray-floret has two nicks at the tip, therefore there are three flowers per ray. 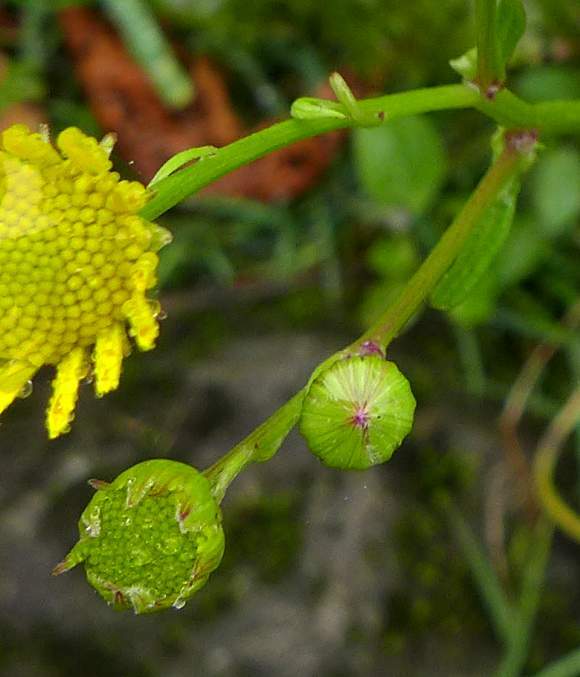 Centre: unopened flower bud. Lower left a recently opened one with florets still green within. 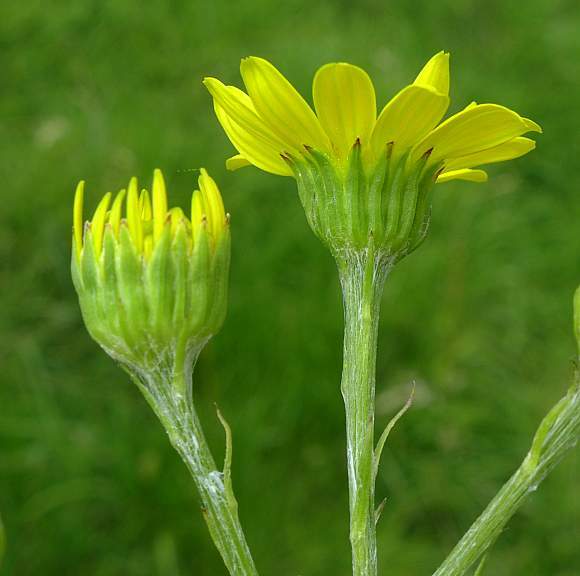 Far left and off the screen, opened flower, disc florets still closed, ray florets yet to grow more and splay out. 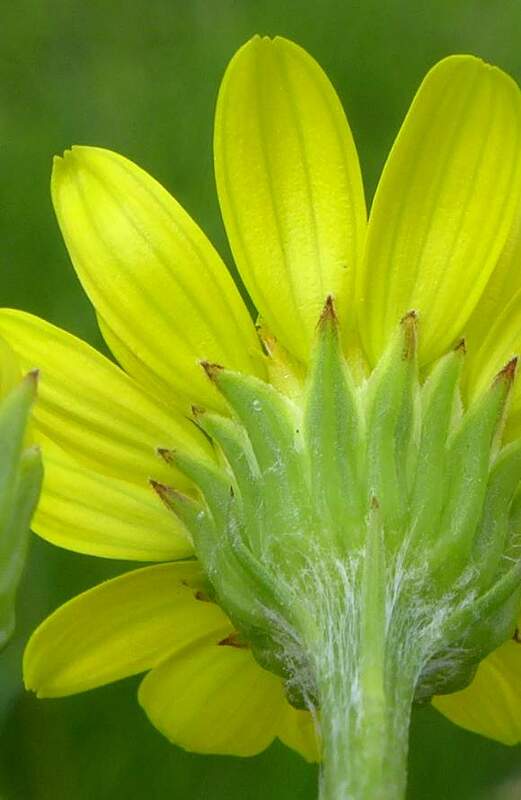 The inner bracts surrounding the lower part of the flower are pointed, the outer bracts much shorter. Flower stems half covered in cob-weby white hairs. Bracts pale green and with whitish edges. 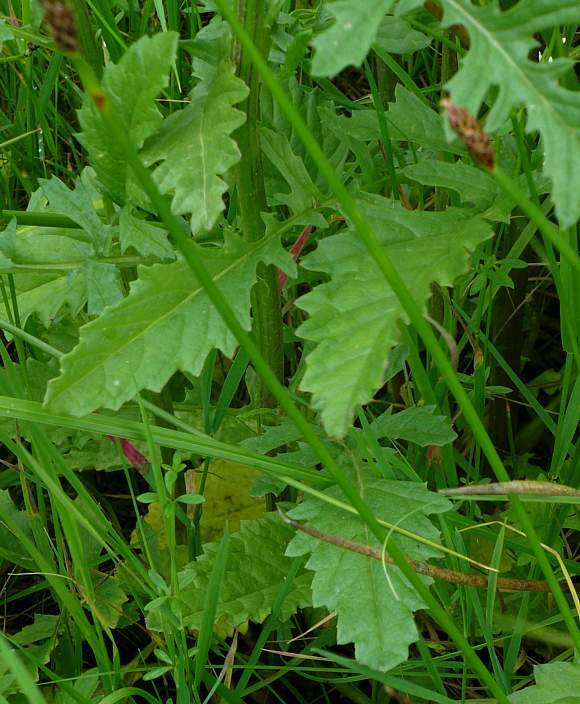 Distinctive leaves, lower ones have wide end-lobe, with only a few and shorter side-lobes. 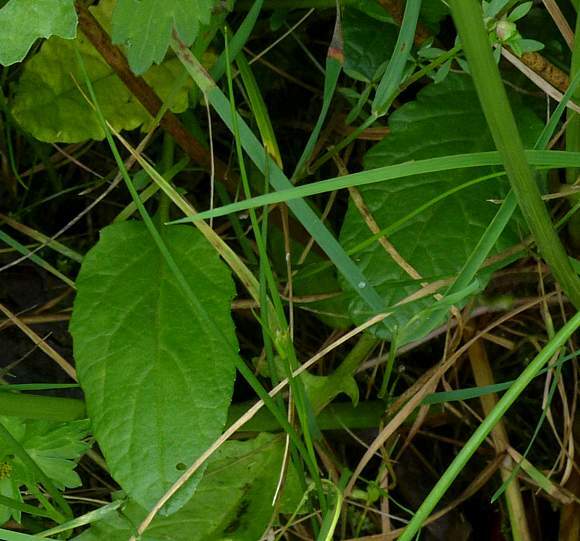 Some leaves are so deeply lobed that the casual observer may count them as separate leaves. Whilst other leaves display squegging or 'motorboating' as exhibited by blocking oscillators or other unstable electronic circuits. The end-lobe has fairly pronounced teeth. 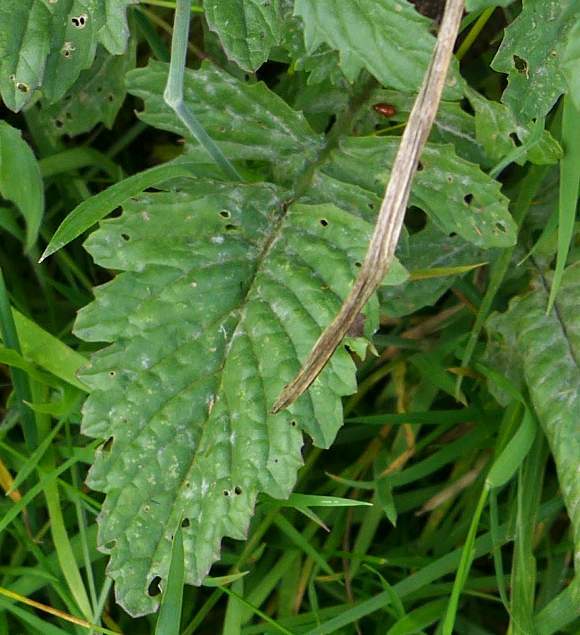 The basal leaves are without lobes until a large oval end-lobe (which has fewer and shallower or even no teeth - un-like the end lobes of leaves of those a bit higher up the plant). 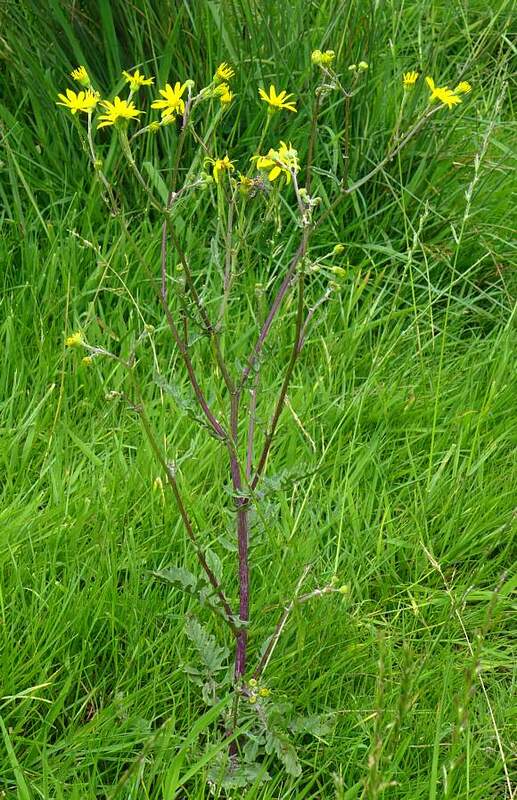 Easily confused with : many other Ragworts, but the wide end-lobes and the wettish location might give it away. 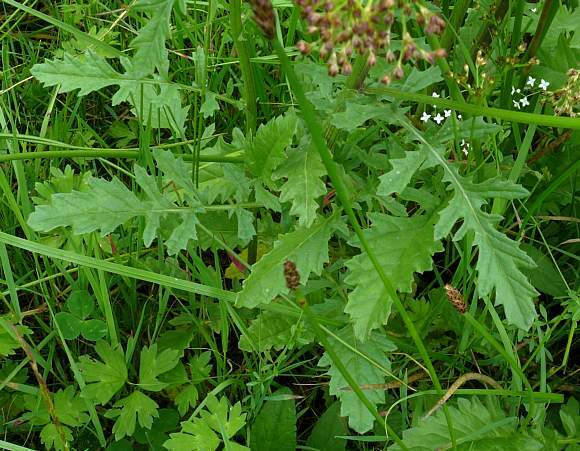 Not to be semantically confused with : Perennial Ragweed (Ambrosia psilostachya) or Ragweed (Ambrosia artemisiifolia) but these totally lack any ray florets [more members of the Dandelion & Daisy Family (Asteraceae)]. Nor with Ragged-Robin (Silene flos-cuculi) [a member of the Campion family (Caryophyllacaea)]. 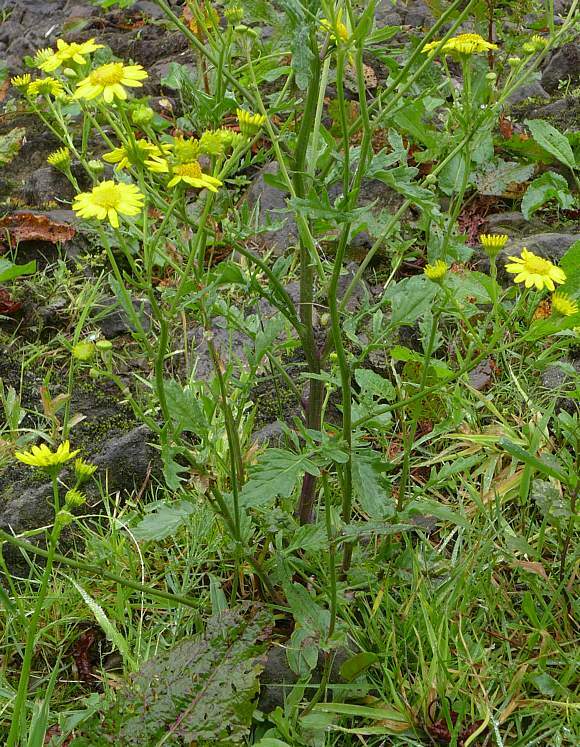 A yellow dye can be obtained from this plant. 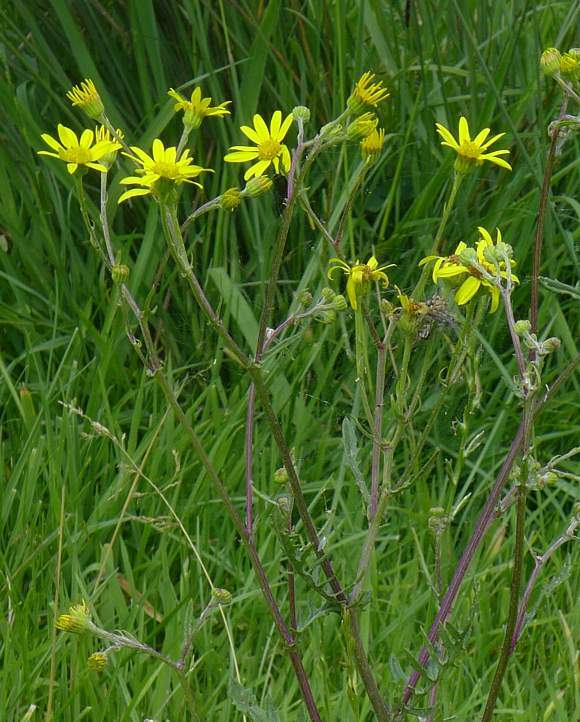 Along with Common Ragwort (Senecio jacobaea) and Oxford Ragwort (Senecio squalidus) , Marsh Ragwort is ubiquitous throughout much of the UK, but more prevalent in the west where it is wetter. 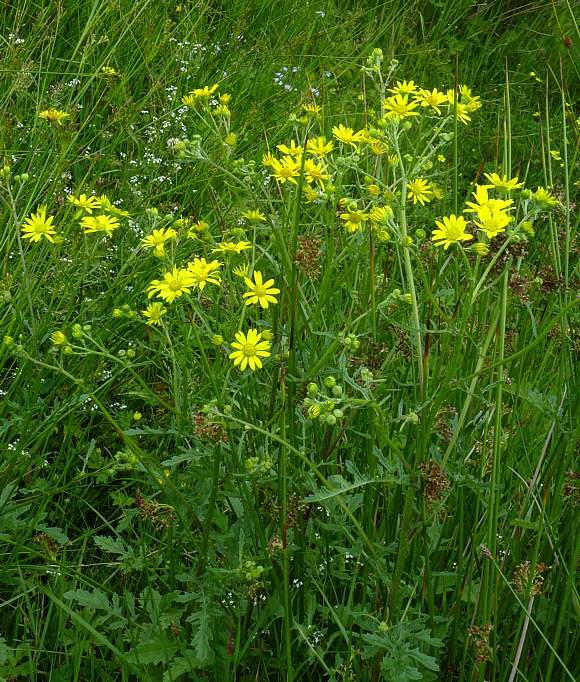 It grows in marshes or other wettish grassland areas such as besides streams and in damp meadows. 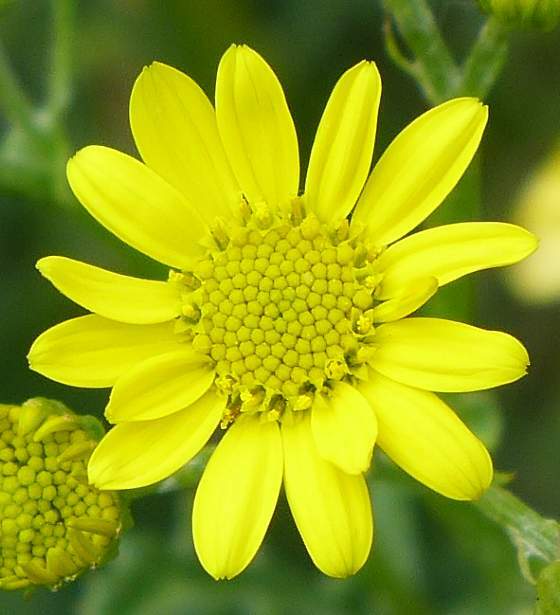 The leaves of Marsh Ragwort are quite distinctive with fewer side-lobes and a wider end-lobe. 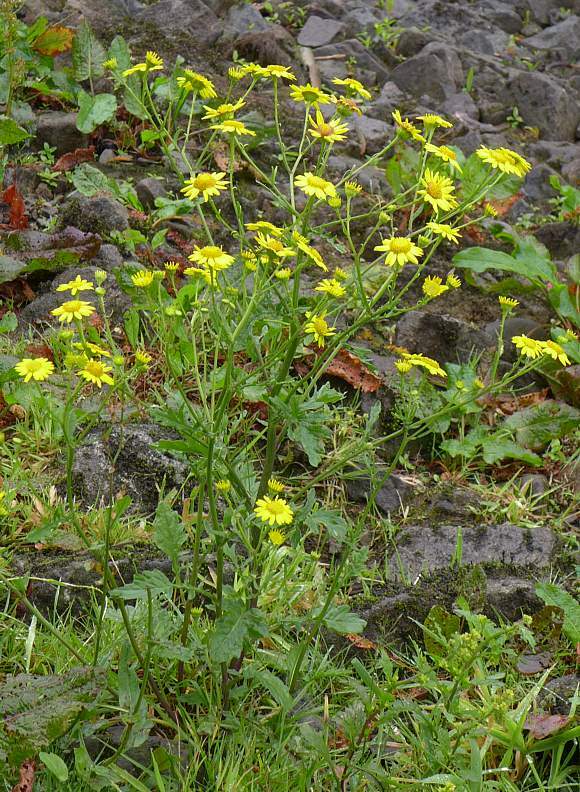 Un-like Oxford Ragwort, which grows only in lowlands, Marsh Ragwort can grow at heights up to 460m, but is beaten by the 710m of Common Ragwort . 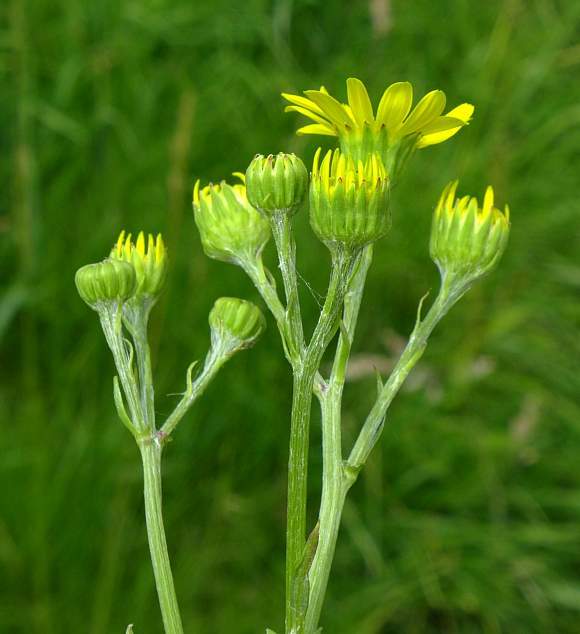 A further identifying feature, but one not so easily seen without dismantling a flower-head, is the short plume of hairs on the seeds of both ray and disc florets of Marsh Ragwort.